Calió, M.F. (2009). Neotropical Gentianaceae. Herbs, shrubs, rarely trees or lianas, often glabrous , autotrophic, some mycoheterotrophic ("saprophytic"). 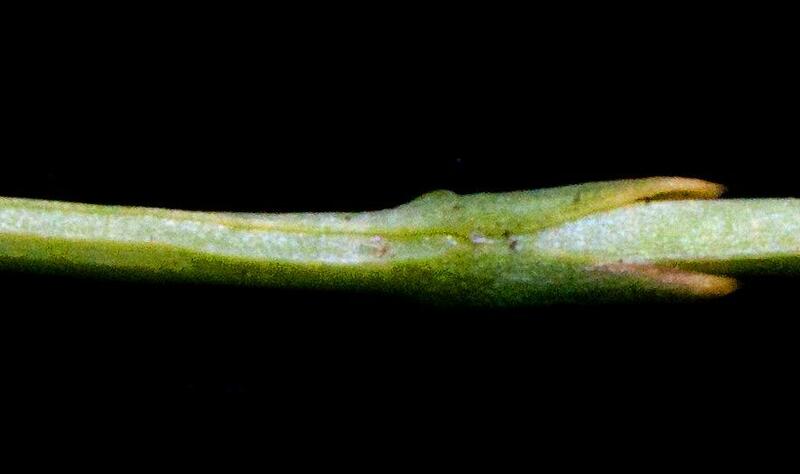 Leaves simple , opposite, rarely whorled or alternate , usually entire and sessile , with acrodromous or pinnate venation , stipules lacking, but often with an interpetiolar line or sheath , colleters often present at adaxial surface of petiole . 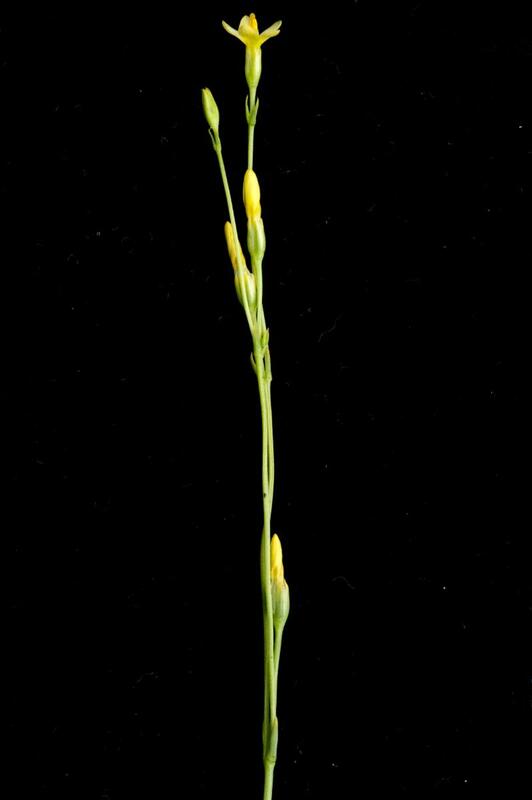 Inflorescences terminal or axillary , usually cymes. Flowers (3-)4-5(-10)- merous ; calyx usually with colleters, lobes often fused, imbricate , carinate, winged or with dorsal glandular area; corolla sympetalous, aestivation often contorted , actinomorphic or zygomorphic ; stamens (3-)4-5(-10), epipetalous, alternipetalous; anthers with longitudinal dehiscence, rarely poricidal; ovary superior , 1(-2)-carpellate, unilocular, with parietal placentation, disc or nectariferous glands often present; style 1; stigma capitate or usually 2- lobed . Fruit mostly sypticidal capsules, rarely berries; seeds numerous. Forty-four genera occur in the Neotropics (complete list above). 44 genera occur in the Neotropics; 35 of these are endemic. Other genera are cultivated for ornamental purposes (e.g. 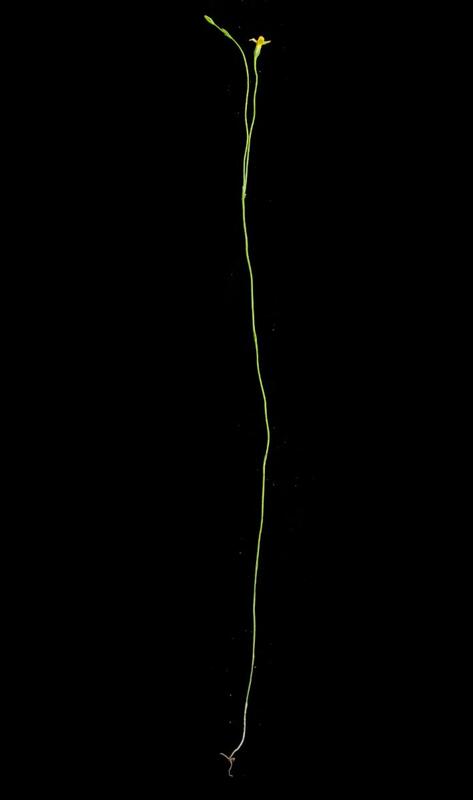 Eustoma Salisb., Exacum L.). Several species occurring in the Neotropics are narrow endemics. 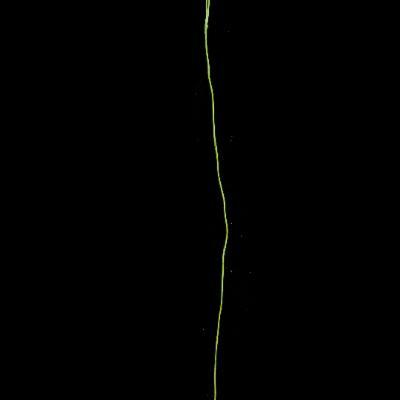 Adenolisianthus Gilg (1 sp.) Brazil, Colombia and Venezuela. Aripuana Struwe, Maas & V.A. Albert (1 sp.) Brazil (southeastern Amazonia). 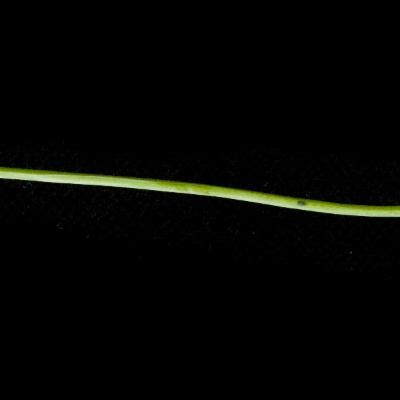 Calolisianthus Gilg (c. 6 spp.) Brazil and Bolivia. Celiantha Maguire (3 spp.) northern South America. Chelonanthus Gilg (c. 10 spp.) Mexico, Central and South America. Chorisepalum Gleason & Wodehouse (5 spp.) Venezuela to Surinam. Cicendia Adans. (2 spp.) 1 sp. in South America and western North America, and 1 sp. in Mediterranean region and western Europe. Coutoubea Aubl. (5 spp.) northern South America and Central America. Curtia Cham. & Schltdl. (8 spp.) from Mexico to Argentina (absent in Andean region). Deianira Cham. & Schltdl. (7 spp.) Brazil and Bolivia. Enicostema Blume (3 spp.) 1 sp. from northern South America, Central America and the Caribbean, 2 spp. from Madagascar, tropical Africa and Asia. Gentiana L. (c. 360 spp.) most spp. in Asia, but also occur in Europe, North and South America, northeast Africa and east Australia. Gentianella Moench (250 spp.) South and North America, Africa, Australia, Asia, Europe, New Zealand. Gyrandra Griseb. (5 spp.) Central America. Halenia Borkh. (80 spp.) 76 spp. from Central and South America (the other from Asia and North America). Helia Mart. (2 spp.) Brazil to Paraguay. Hockinia Gardner (1 sp.) Brazil. Irlbachia Mart. (9 spp.) Brazil, Colombia, Guianas and Venezuela. 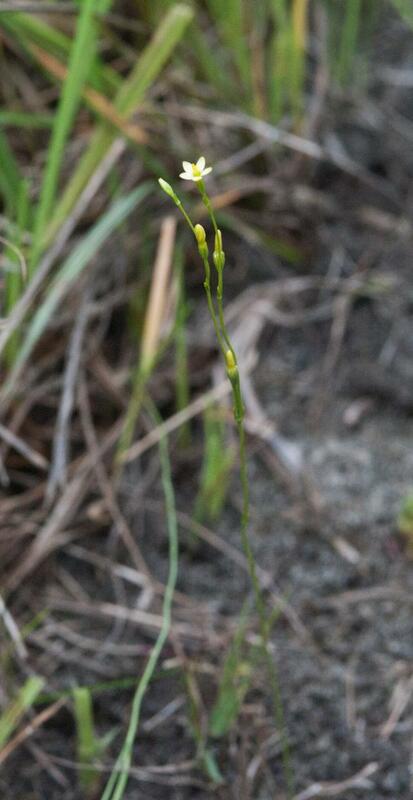 Lagenanthus Gilg (1 sp.) Northern South America (Colombian-Venezuelan border). Lehmaniella Gilg (2 spp.) Peru and Colombia. Lisianthius P.Browne (30 spp.) Central America and Greater Antilles. Macrocarpaea (Griseb.) Gilg (c. 100 spp.) Central America, Greater Antilles and South America. Neblinantha Maguire (2 spp.) Northern South America (Brazilian-Venezuelan border). 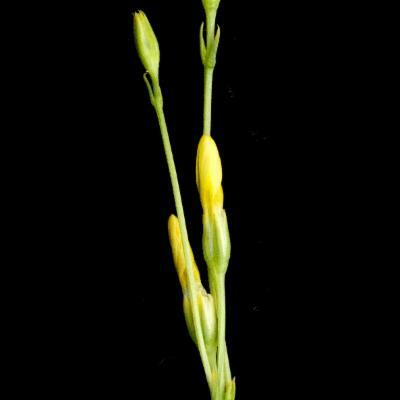 Neurotheca Salisb. ex Benth. & Hook.f. (3 spp.) 1 sp. from northern South America, tropical Africa and western Madagascar, 2spp. from tropical Africa. Potalia Aubl. (9 spp.) from Bolivia to Costa Rica. Prepusa Mart. (5 spp.) southeastern Brazil. Purdieanthus Gilg (1 spp.) Northern South America (Colombian-Venezuelan border). Rogersonanthus Maguire & B.M.Boom (3 spp.) northern South America and the island of Trinidad. Roraimaea Struwe, S.Nilsson & V.A. Albert (2 spp.) Brazil and Brazilian-Venezuelan border. Saccifolium Maguire & Pires (1 sp.) Brazilian-Venezuelan border. Schultesia Mart. (21 spp.) Pantropical, minus Asia. Senaea Taub. (2 spp.) Southeastern Brazil. Sipapoantha Maguire & B.M.Boom (1 sp.) Venezuela. 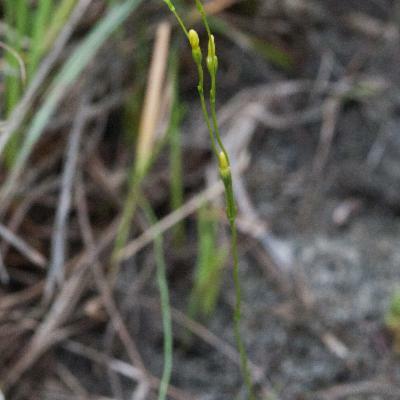 Symbolanthus G.Don (c. 30 spp.) Costa Rica, Panama and northern South America. Symphyllophyton Gilg (1 sp.) southern Brazil. Tachia Aubl. (13 spp.) Bolivia, Brazil, Colombia and Guianas. Tapeinostemon Benth. (7 spp.) northern South America. 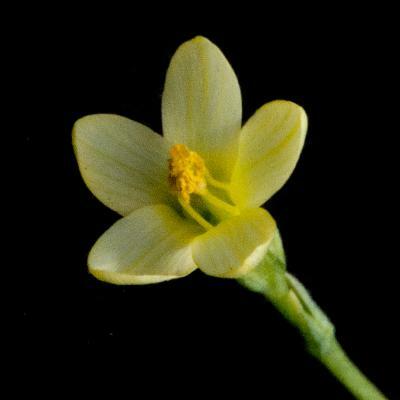 Tetrapollinia Maguire & B.M.Boom (1 sp.) Tropical South America. Voyria Aubl. (19 spp.) tropical America (only one species in West Africa). Miq. (1 spp.) Tropical South America and Panama. Yanomamua J.R.Grant, Maas & Struwe (1 sp.) Brazil. Zeltnera G.Mans. (25 spp.) North, Central and South America (Colombia, Ecuador and Peru). Zygostigma Griseb. (1 sp.) Brazil, Argentina and Uruguay. Zonanthus Griseb. (1 sp.) Cuba. No stipules (sometimes with an interpetiolar line or sheath). Simple, entire, opposite (rarely whorled or alternate) leaves. Calyx lobes fused (rarely free). 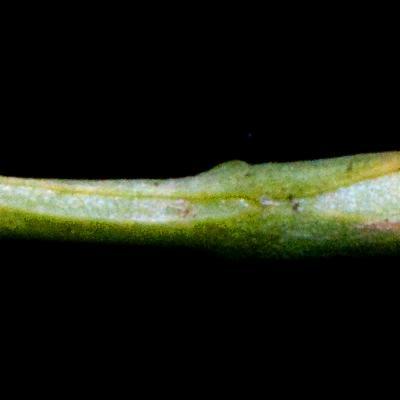 Colleters at adaxial surface of petiole and on the inside of calyx. Corolla aestivationcontorted (rarely imbricate or valvate). Nectarydisc at base of ovary. Superiorovary separates it from Rubiaceae and Campanulaceae. Lack of interpetiolar stipules sets it apart from Rubiaceae. Contortedcorolla lobes separates it from Loganiaceae. Lack of latex sets it apart from Apocynaceae. Homostylous flowers separates it from Gelsemiaceae. 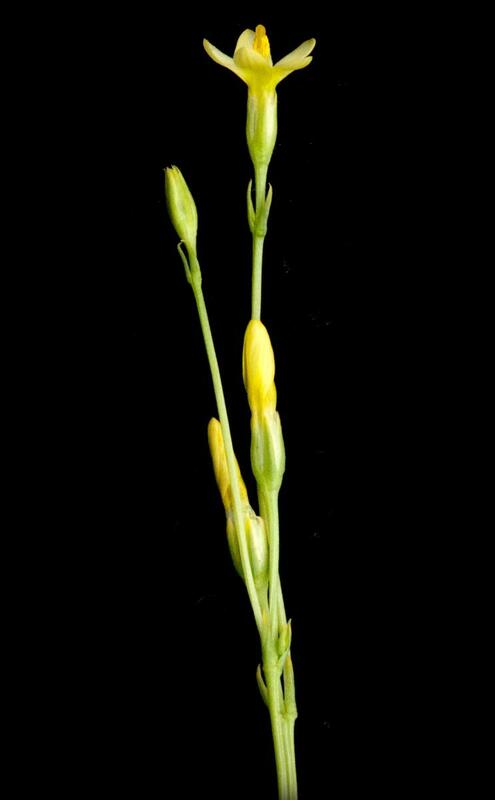 Calolisianthus Gilg: herb to shrub; 5-merous flowers; calyx with glandular area on lobes; corolla blue, lilac, pink or red; stamens inserted at the base of the corolla tube, pollen in tetrads or polyads; style long, stigma bilamellate; bud apex acute. Chelonanthus Gilg: herb; 5-merous flowers; calyx with glandular area on lobes; corolla green, cream, white or purple; stamens inserted at the base of the corolla tube, pollen in tetrads or polyads; style long, stigma bilamellate; budapex round or acute. Chorisepalum Gleason & Wodehouse: shrubs to trees; coriaceous leaves; inflorescence with leaf-like bracts; calyx 4-merous, with glandular area on lobes; corolla 6-merous, green; stamens inserted at the base the of the corolla tube, pollen monads; style long, stigma bilamellate; winged seeds. Curtia Cham. & Schltdl. : herb; leaves whorled; 5-merous flower; calyx lobes triangular; corolla white to purple; heterostylous (some spp. ); pollen in monads; stigma bilobed. Deianira Cham. & Schltdl. : herb; leaves along stem or in a basal rosette; 4-merous flowers; corolla white to pink; stamens inserted at the apex of the corolla tube; anthers dehiscing by a pore (which becomes a longitudinal slit later), pollen in tetrads; stigma bilobed. Lisianthius P.Browne: herbs, shrubs, small trees; interpetiolar sheath at the base of leaves; 5-merous flowers; calyx often carinate or alate with long acuminate lobes; corolla yellow to red, green or black; stamens inserted at the base of the corolla tube, filaments thickened at base and bent at the insertion point; style long, stigma capitate, peltate or slightly bilobed. Macrocarpaea (Griseb.) Gilg: shrubs to small trees (rare herb); inflorescences with leaf-like bracts; 5-merous flowers; calyx with glandular area on lobes; corolla white, yellow or green; stamens inserted at middle or base of the corolla tube, pollen monads; style long, stigma bilamellate. Potalia Aubl. : shrubs or trees; leaves crowded at branch apices; interpetiolar sheath; 4-merous calyx; 8-10-merous corolla, white, yellow, orange, or green; stamens inserted at the middle of the corolla tube; short filaments fused in a staminal tube, pollen monads (rarely tetrads); style short, stigma capitate; fruit berry. Symbolanthus G.Don: shrubs, rarely small trees or herbs; 5-merous flowers; calyx with glandular area on lobes; corolla white, yellow or green, pink, or red; stamens inserted at the base of the corolla tube, with a low corona or ridge at base of stamens; pollen tetrads; style long, stigma bilamellate. Tachia Aubl. : shrubs to trees; leaves petiolate; leaf venation pinnate; 5-merous flowers, inserted in leaf axils, without bracts; corolla white, yellow, green, orange; stamens inserted at the base of the corolla tube, pollen in monads; style long, stigma bilamellate. Voyria Aubl. : saprophytic herb; scale-like leaves; flowers (4-) 5 (-7)-merous; corolla white, yellow, pink, blue, purple; style long. Calió, M.F., Pirani, J.R. and Struwe, L. 2008. Morphology-based phylogeny and revision of Prepusa and Senaea (Gentianaceae: Heliae) - rare endemics from eastern Brazil. Kew Bull. 63 (2): 169-191. Cordeiro, I. 1987. Gentianaceae. Flora da Serra do Cipó, Minas Gerais. Bol. Bot. Univ. de São Paulo 9: 227-242. Cordeiro, I. 2003. Gentianaceae. Flora de Grão-Mogol, Minas Gerais. Bol. Bot. Univ. de São Paulo 22 (2): 137-140. Cordeiro, I. 2005. Gentianaceae. In: Wanderley, M.G.L., Shepherd, G.J., Melhem, T.S. and Giulietti, A.M. (eds.). Flora Fanerogâmica do Estado de São Paulo, Vol. 4. São Paulo. Crespo, S. R. de M. 2003. Revisão taxonômica do gênero Curtia Cham. & Schetdl. (Gentianaceae). Tese Doutorado. Universidade Estadual de Campinas, Instituto de Biologia. Campinas, SP. Fabris, H.A. and Klein, R.M. 1971. Gentianaceae, pp 3-30. In: Reitz, P.R. (ed.). Flora ilustrada Catarinense, part 1, fascicle GENC. Itajaí, Santa Catarina. Guimarães, E.F. 1977. Revisão taxonômica do gênero Deianira Chamisso et Schlechtendal (Gentianaceae). Arq. Jard. Bot. Rio de Janeiro 21: 46-123. Guimarães, E.F. and Klein, V.L.G. 1985. Revisão taxonômica do gênero Coutoubea Aubl. (Gentianaceae). Rodriguésia 37: 21-45. Maas, P.J.M. 1985. Nomenclatural notes on Neotropical Lisyantheae (Gentianaceae). Proc. Kon. Ned. Akad. Wetensch. Ser. C. 88: 405-412. Maas, P.J.M. and Reuters, P. 1986. Voyria and Voyriella (saprophytic Gentianaceae). Flora Neotropica Mongraphs 41: 1-93. Maguire, B. 1981. Gentianacaeae, pp 2-56. In: Maguire, B. et al. (eds.). The Botany of the Guayana Highland vol XIII. Mem. New York Bot. Gard. 51. Maguire, B. and Boom, B.M. 1989. Gentianacaeae (part 3), pp. 330-388. In: Maguire, B. et al. The Botany of the Guayana Highland vol XI. Mem. New York Bot. Gard. 32. Maguire, B. and Pires, J.M. 1978. Saccifoliaceae - a new monotypic family of the Gentianales, pp. 230-245. In: Maguire, B. et al. (eds.). 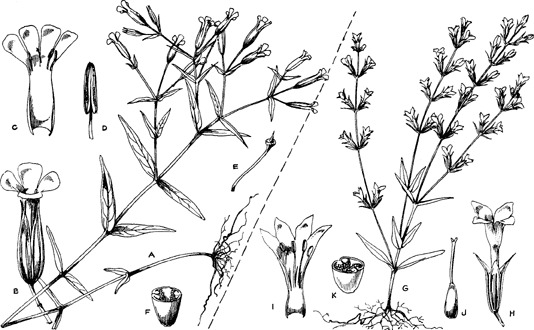 The botany of the Guayana Highland, vol X. Mem. New York Bot. Gard. 29. Mansion G. 2004. 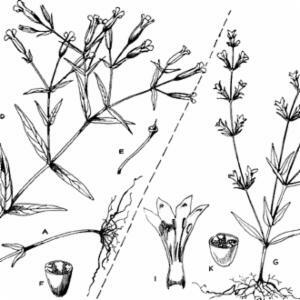 A new classification of the polyphyletic genus Centaurium Hill (Chironiinae, Gentianaceae): description of the New World endemic Zeltnera, and reinstatment of Gyrandra Griseb. and Schenkia Griseb. Taxon 53 (3): 719-740. Struwe, L. and Albert, V.A. 2002. Gentianaceae - Systematics and Natural History. Cambridge University Press, Cambridge. 652 págs. Struwe, L. and Albert, V.A. 1998. Lisianthius P.Br., its probable homonym Lisyanthus Aubl. (Gentianaceae) and the priority of Helia Mart. over Irlbachia Mart. as its substitute. Harvard Pap. Bot. 3: 67-71. Struwe, L., Maas, J.P., Pihlar, O. and Albert, V.A. 1999. Gentianaceae, pp. 474-542. In: Berry, P.E., Yatskievych, K. & Holst, B.K. (eds.). Flora of the Venezuelan Guayana. Vol. 5 Missouri Botanical Garden, St. Louis. Struwe, L., Maas, P.J.M. and Albert, V.A. 1997. 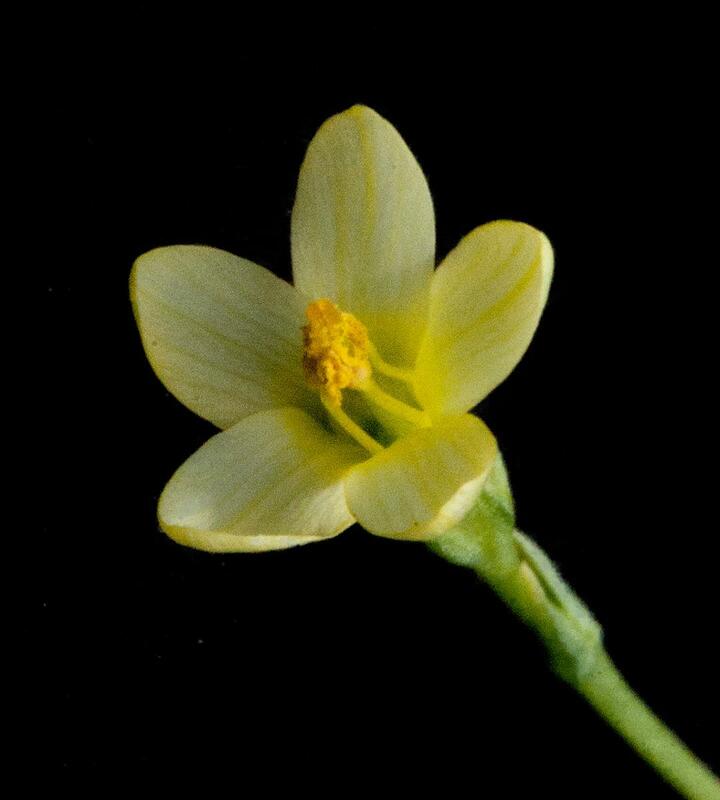 Aripuana cullmaniorum, a new genus and species of Gentianaceae from white-sands of southeastern Amazonas, Brazil. Harvard Pap. Bot. 2: 235-253. Weaver, R.E., Jr. 1972. 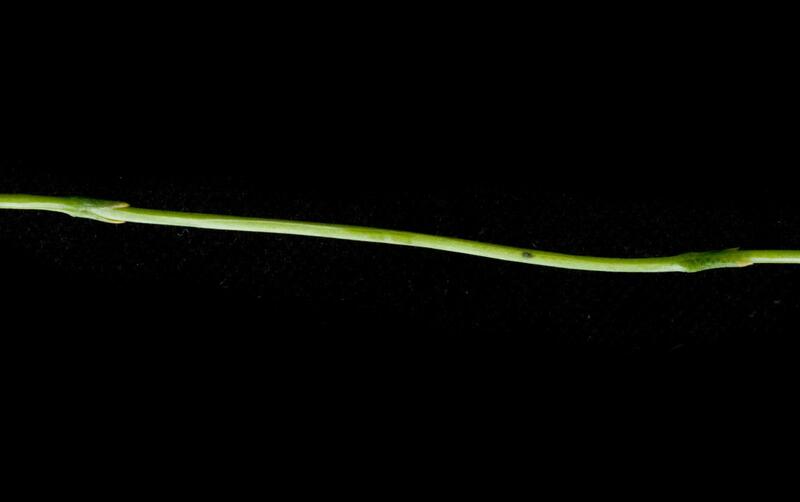 A revision of the neotropical genus Lisianthus (Gentianaceae). J. Arnold Arb. 53: 76-100, 234-272, 273-311. 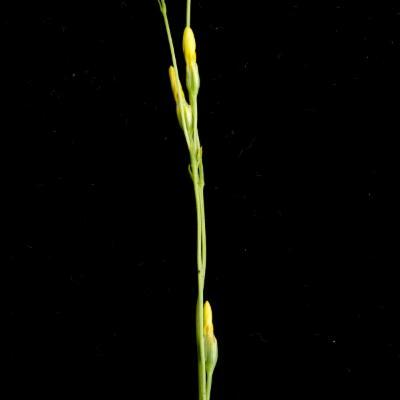 Neurotheca Salisb. ex Benth. & Hook.f.